This set of problems will help students practice solving genetics problems. 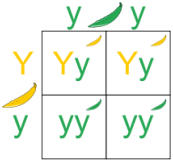 The set covers monohybrid and dihybrid crosses, simple dominance, incomplete dominance and codominance, multiple alleles, epistasis, and pedigree analysis. Solutions are included.